If you ask any trekker or traveler for his/her bucket list, Everest Base Camp Trek would definitely be in the top five. Why shouldn’t it be? This is the holy grail of trekking. This is as close a one could get to the highest peak in the world, interact with the summiteers, climbers and other trekkers from different corners of the globe, breathe the adventure along with the cold nippy air, feast on the local delicacies and the staple dal-bhat (rice and lentils), discover the Sherpa culture and learn to appreciate their way of life and the hardships they go through. At the end of it, of course, achieve the bragging rights of having trekked so high and come close to Mt. Everest, only a miniscule percentage of the world population has achieved. All in all, Everest Base Camp Trek is an amazing experience that is bound to leave an indelible impression on your mind. The journey starts from the bustling, crowded and chaotic yet charming Kathmandu that is an eclectic mix of religion, culture and adventure. The flight to Lukla is an heart to mouth experience but the flying so close to the mighty Himalayan peaks make one forget that. The first stop after the eventful landing at Lukla is Phakding. Immediately the cold mountains welcome you with their warmth through the hearth at the Tea house and meeting fellow trekkers and if lucky summit climbers. The initial trail from Phakding to Namche Bazaar is marked with ups and downs with criss-crossing bridges over the Dudh Kosi river. 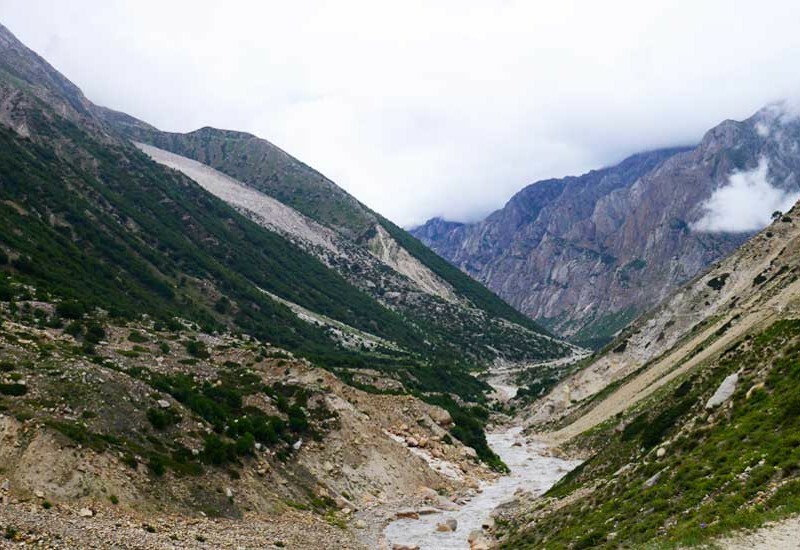 You could see the magnificent snow capped peaks of Thamserku and Kusum Kangru. It’s a pleasant walk till Jorsalle. However, the difficulty of the trek becomes evident post lunch while climbing the steep trail to Namche Bazaar. Namche Bazaar is a large village, marked with shops catering to trekkers and climbers. It is a social and commercial hub of the Sherpas. High speed cybercafes, bakeries, pool parlours and pubs are a commonplace here. Namche is very well developed, with the per capita income higher than that of Kathmandu. It has its own uninterrupted power supply from a hydroelectric plant nearby. The village is very clean as it has its own efficient garbage disposal system with incinerators etc. For acclimatization, you would have to stay an extra day here and walk up to the Sagarmatha National Park headquarters and museum. You could see the magnificent peaks – Ama Dablam and Lhotse (4th highest mountain peak in the world). You could have a glimpse of Mt. Everest from here. The next pit stop is the small hamlet of Tengboche is known for its monastery, the largest in the Khumbu region. Extremely beautiful, nestled amongst the peaks. Do attend the prayers if you can. Tengboche to Dingboche is an easy walk downhill through the forest. The soft ground is a pleasure to walk on after days of rocky climbing and walking. Dingboche is a small hamlet with a handful of lodges and huts. It is characterized with agricultural land (potatoes and other vegetables) and a helipad of HRA- Himalayan Rescue Association. The helicopters buzz regularly flying in AMS patients to lower heights. An extra day will be spent here for acclimatization. The next stop is Lobuche and on the way you will stop at Dughla for lunch. Dughla is a village marked with only 3-4 lodges. After the lunch you will set out for a steep 1 hour climb. 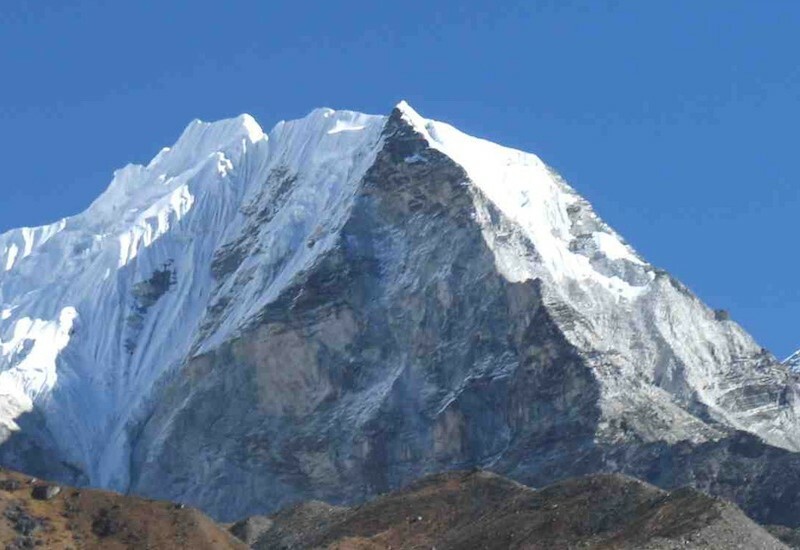 The top of this mountain has memorials of various Everest climbers like Scott Fischer (from the ’96 Everest disaster), Babu Chiri Sherpa (who holds 2 world records – fastest ascent and spending 21 hours without oxygen on the summit.). Lobuche is at a height of 16,000 ft. If you already, haven’t felt effects of mountain sickness, headaches, you are bound to feel that here. But, you shouldn’t worry much. Just stick to the mantra of high altitude climbing – climb slow, climb high, sleep low and imbibe lots of water/fluid. The next day will be a long one as you would have to reach Gorakshep and then Everest Base Camp. Gorakshep was the first base camp for the first successful expedition of Edmund Hillary/Tenzing Norgay. Gorakshep was the first base camp set up during Hillary-Norgay expedition. The place had now transformed into a small hamlet of lodges (with sat phones and internet access) catering to trekkers and summiteers (many of them) from the base camp. There is a narrow trail uphill for a long way towards the base camp. You would have to give way to yaks and porters, who will pass you by on regular intervals. On the right you will see the famous Khumbu glacier. It would be covered with rock and sand, but one couldn’t miss the blue ice peering from beneath at various points. It is massive. The next day or early morning is the climb to Kalapathar. Kalapathar is a mountain just below the south face of Pumori (7,161m/23,494 ft). Mt. Everest can be viewed clearly on top of Kalapathar. After the Kalapthar ascent, its all downhill (in parts uphill ☺) retracing back the same path all the way to Lukla for the flight back to Kathmandu. Day 2 / Kathmandu. Briefing, sightseeing, shopping for gear. Day 5 / Spend the day for acclimatization, hike up to the famous Everest Hotel , and exploring Namche Bazaar. Day 14 / Lukla to Kathmandu flight. Day 15 / Buffer day. Day 16 / Departure from Nepal. 4 nights accommodation (Twin share) Kathmandu in 3 star or similar hotel. 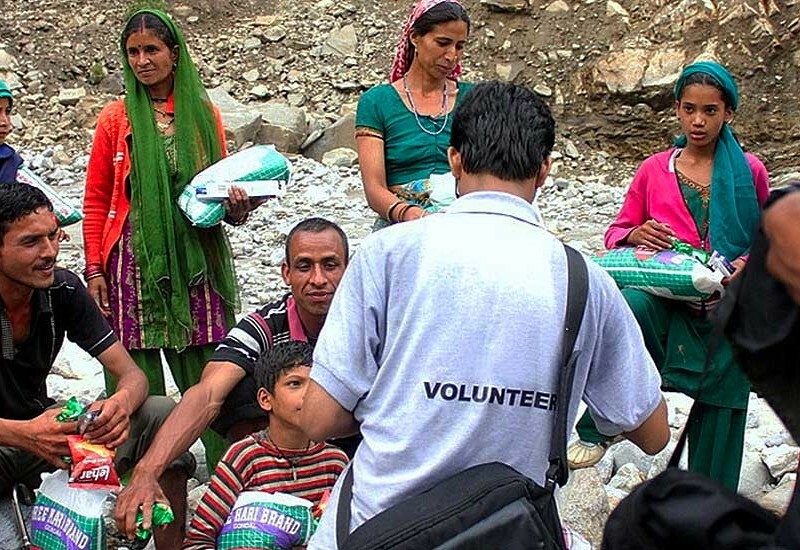 All meals and accommodation during the scheduled trek days. One meal only from the menu for Breakfast, lunch and dinner. Hot drinks (Tea or Coffee ) at breakfast time during trek. 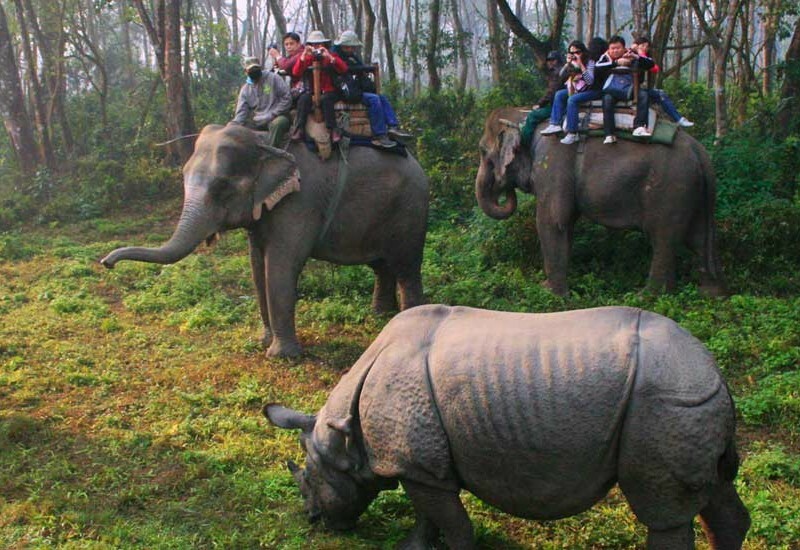 An experienced and registered trekking guide from Kathmandu. If group size is 8 or 10 then we will provide one assistant guide from Lukla. Sleeping bags (you can hire them from us at a nominal price) . Uttarakhand nestled in the Indian Himalayas is well adorned with natural beauty landscape, wildlife and nice people. Much can be done while traveling in the beautiful Indian state. And one of those activities while traveling could be volunteering in various projects locally while living the rustic way and making a difference.